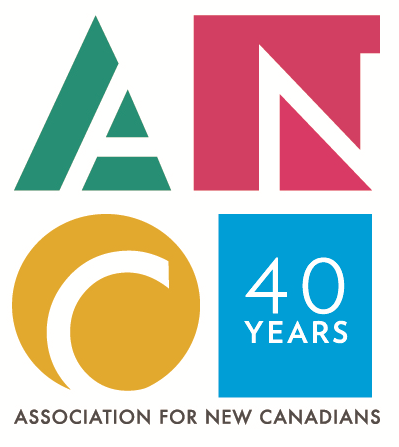 You can vote for the Association for New Canadians! With ANC offices in six communities, there's always something going on. We're really excited about the launch of HOME: Stories of Newcomers to Newfoundland & Labrado r, a brand new video featuring newcomers to the province. Come to the launch at The Rooms on April 24. You'll find full details here. Check out our Events Calendar . Volunteer Week is April 7-13. So much of what we do relies on the generously-donated time of many volunteers. If you have been part of a Conversation Circle, helped a newcomer family settle, served food at the ESL Training Centre's Fresh Start breakfast program, or contributed your valuable time in any way, accept our deepest thanks! We have been serving newcomers in Newfoundland and Labrador since 1979. Watch for celebrations and activities this year, but in the meantime, check out our new website . Do you have an ANC memory? Let us know via e-mail: news@ancnl.ca We'll be sharing as many stories as we can throughout the year. Kindness is shown in so many ways, and we appreciate every one. Special thanks this month to St. Thomas's Anglican Church, Suncor, and the Canadian Federation of University Women for their financial support of our new breakfast program. Another sincere thank-you goes to everyone at Winners' two St. John's stores, who have donated clothes to our ESL students and their families. 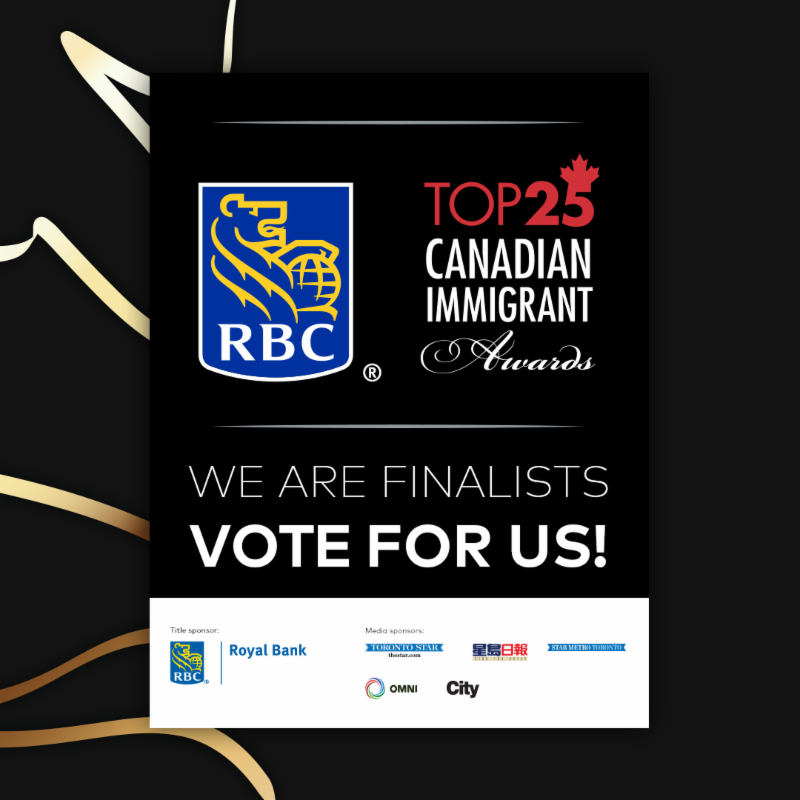 ﻿We're delighted to announce that the ANC has been nominated as Top Settlement Agency in Canada as part of the RBC Top 25 Canadian Immigrant Awards. Cast your vote online here. There's one vote per e-mail address, so make it count! In the second half of March, the ANC participated in Multiculturalism Week activities in every corner of the province. 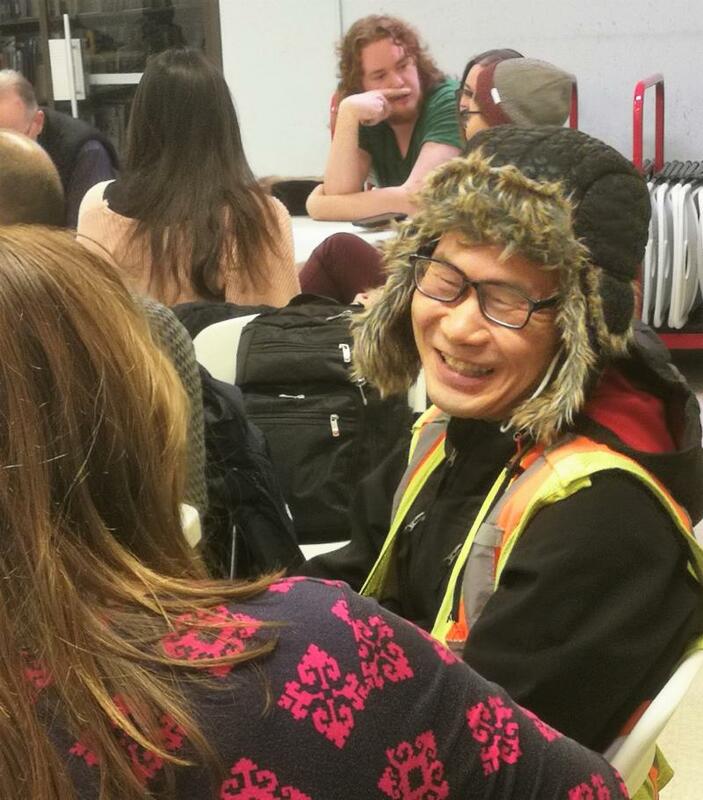 Our LINC ESL Training Centre in St. John's hosted a Global Tour: have a look at some photos! See Facebook for what satellite offices and their community partners were doing in Central, the Labrador Straits, Labrador West (clue: Zumba), Corner Brook (Canada Reads! ), and Happy Valley-Goose Bay. 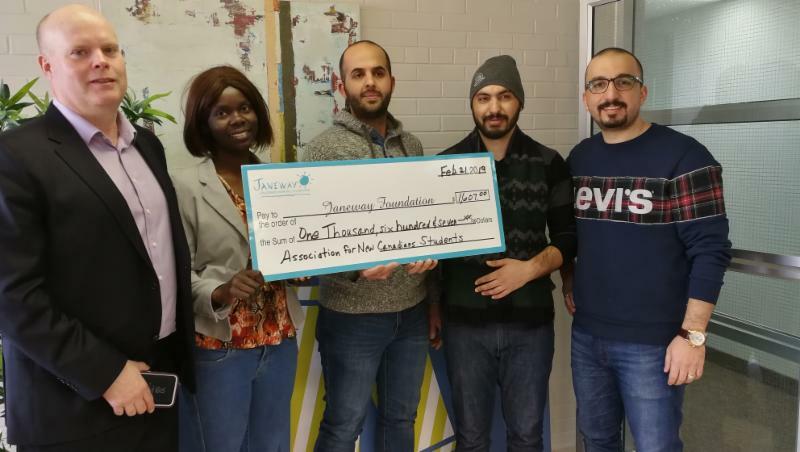 "We are ready to give back"
Students at our ESL Training Centre raised more than $1600 for the Janeway Children's Hospital. When asked why they wanted to do this, the reply was simple. "We want to give back and we want to let the people of St. John's know that we are here to help too." 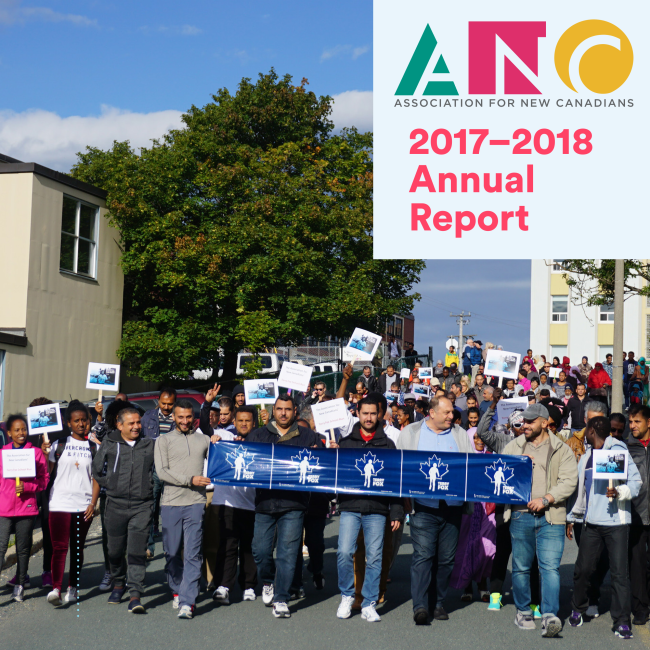 Our Annual report for fiscal year 2017-18 is online now. 15 ANC students are learning how to put their farming experience to work in their new home. Bridging the Divide brings immigrant skills and the province's need for food security together. Read the news release and see photos of a visit to Murray's Garden Centre on our website. 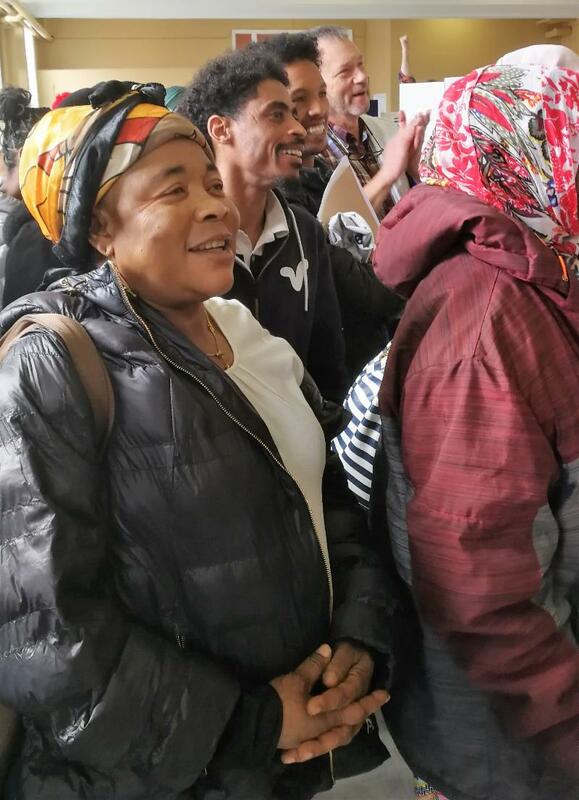 Our Settlement Workers in the Schools team met up with Zach Goudie from CBC at St. Andrews' Elementary, and this delightful story on Here and Now was the result. Read the web version here. 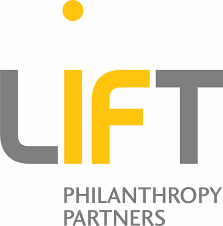 We are proud to be one of 10 Canadian organizations selected by LIFT Philanthropy Partners to be part of the Better Beginnings, Bigger Impact initiative. The initiative was created to help 10 organizations deliver real change in the lives of Canadian newcomers. 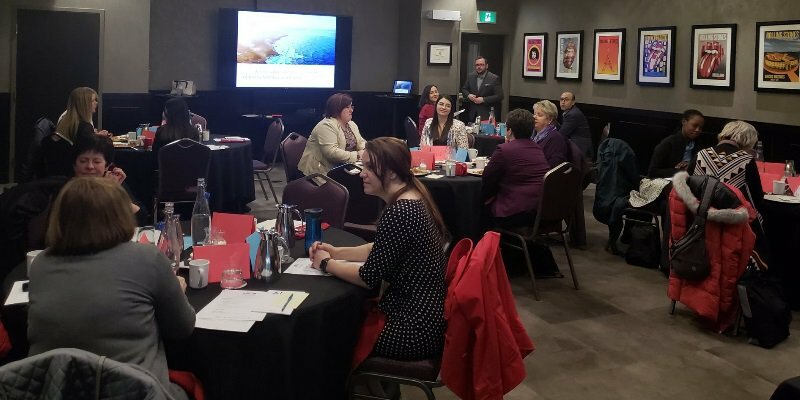 The Diversity and Outreach team hosted a series of business roundtables in 10 locations in the province. Watch the NTV story here; read the VOCM story here.